His was what is called baptism by storm -- against Pakistan, in Pakistan, against Imran Khan, Wasim Akram and Waqar Younis firing on all cylinders. 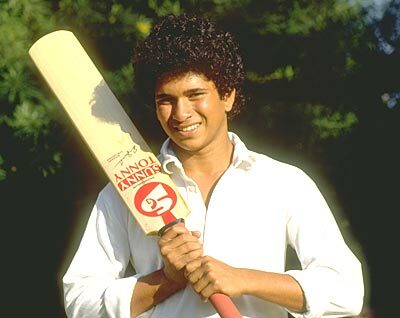 And Sachin stood the sledges, the 'perfume' balls and a knock to his head. In the years that have followed, commentators have gobbled up dictionaries to find superlative adjectives to describe his batting, his dedication to the game and his keen interest in everything cricket. Myriad records have come crashing, myriad egos have been deflated -- remember Henry Olonga, anyone? - and myriad greats have doffed their hat to the Bombay Blaster.